R & R COMMUNICATIONS, INC. This is the new Mini Mobile Digital Rack with a Foot or Hand key-up pedal. 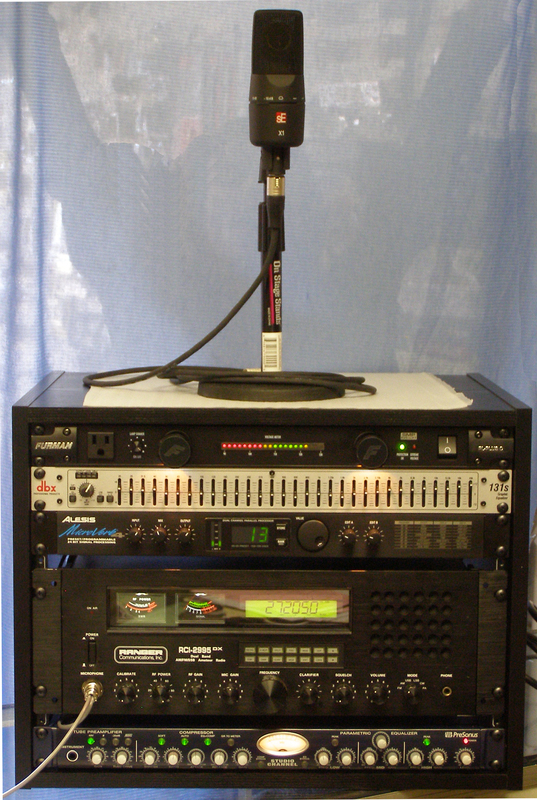 I can set up any base radio with a rack mount and custom audio devices. 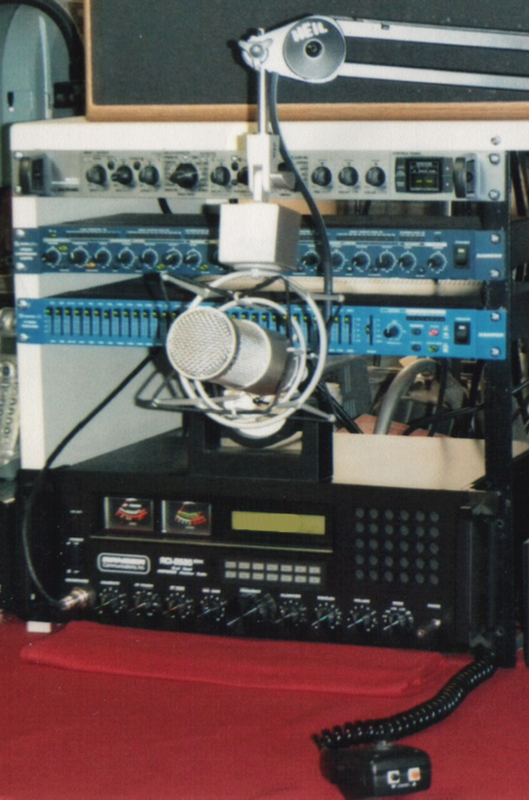 This system here uses a Shure SM58 Vocal Mic with a Foot Key Up Pedal. that you can use with any audio device that is used for professional audio or musicians processor boards. You can use any microphone you choose. Stock, Noise Canceling, Power Mic or a Studio/Stage Mic. There is no need for a foot key pedal, unless you are going to use a Studio Style Mic. This patch cable will have 1 microphone input jack, 2-1/4" mono plugs (1-input & 1-output) and a microphone plug. 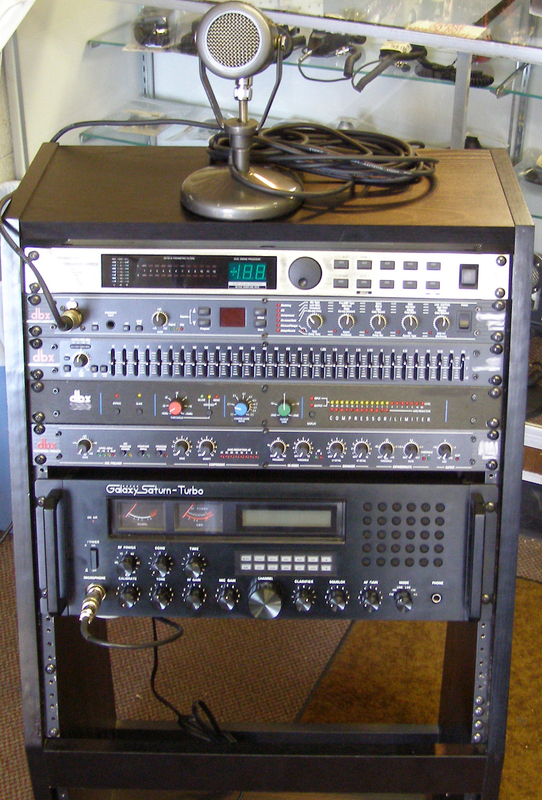 You can connect any audio device to your mobile or base radio with out paying a tech to modify your radio. This includes a total of 6' of straight microphone wire and 2' of shielded wire in between 1/4" plugs. There is no limit to how many devices you can install.